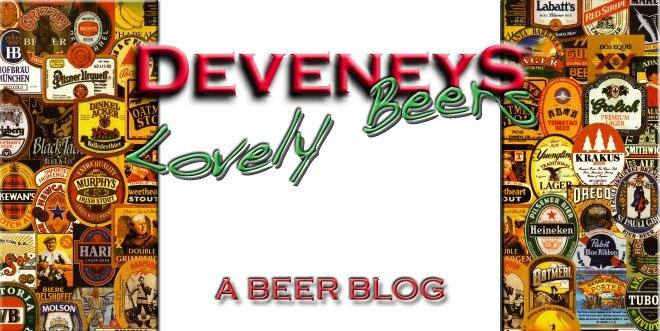 Deveneys of Dundrum: New gear for November Tasting. New gear for November Tasting. Got some brand new Artisan Belgian Beers and some speciality German gear for the November tasting........ Both brands happen to be Organic, for those of you that have a slightly more purist approach to life, for the rest of us, they're shiny new, look interesting and also it's a good excuse to get together and taste some beers. Fruh Kolsch just arrived along with a couple of new Americans, some English, German and a little bit of stock left from Oktoberfest -for those who couldn't make our last tasting. Date of Tasting: November 5th, Thursday. 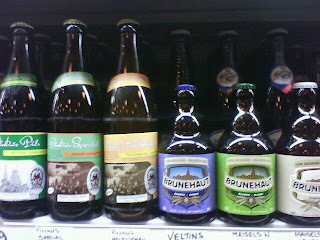 Line-up: Pinkus Hefe Weizen, Pinkus Pils, Pinkus Special, Brunehaut Amber, Brunehaut Wit, Brunehaut Blond. Labels: New gear for November Tasting.